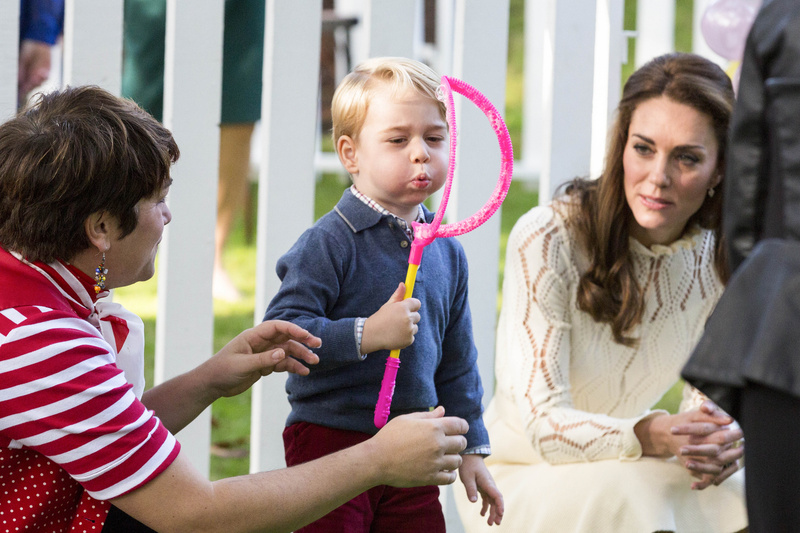 2015 brought immense joy to the Royal Family. The Duke and Duchess of Cambridge welcome their daughter. 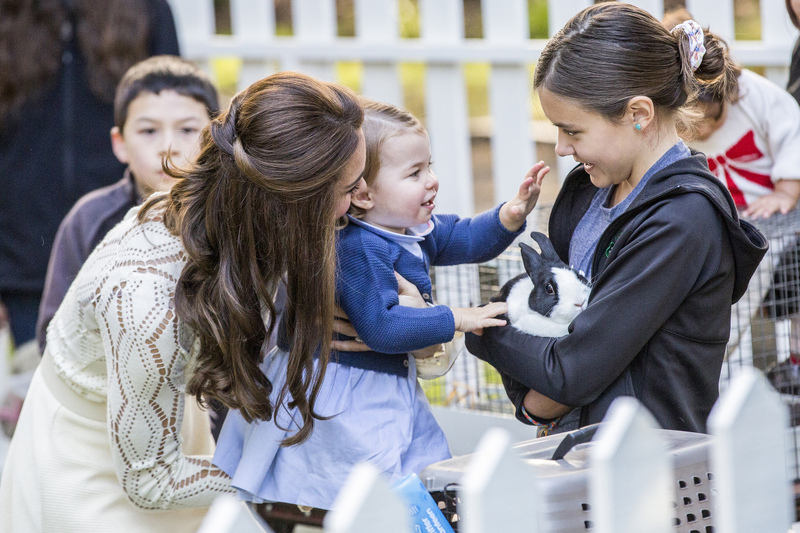 Duchess had another successful year as a royal while embarking on the road of loving and caring Mother of two young kids. 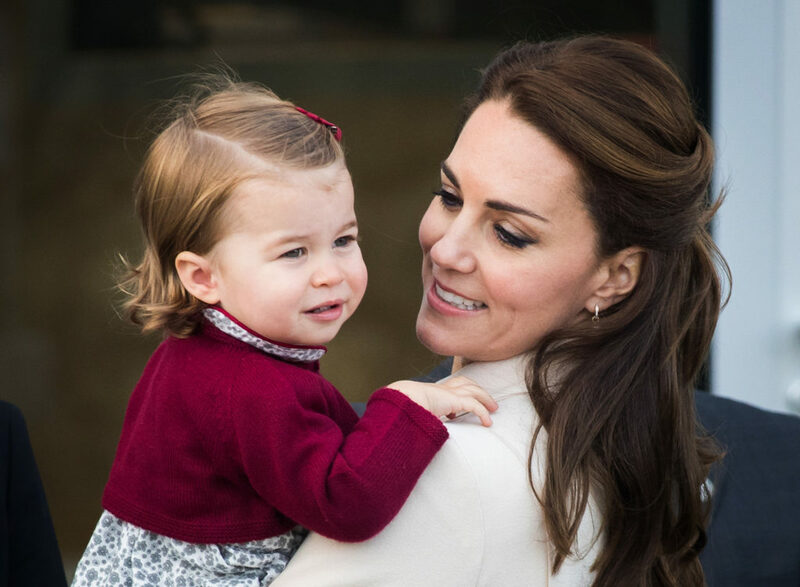 Duchess marked the year 2016 as one of her most influential year. With two kids and two foreign tours and one solo international visit in the same year along with her master idea of Heads Together, the year brought the glimpse of Queen Consort that Catherine will be one day. 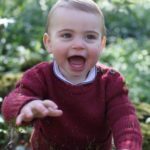 2016 began with Prince George starting his nursery at Westacre Montessori School. 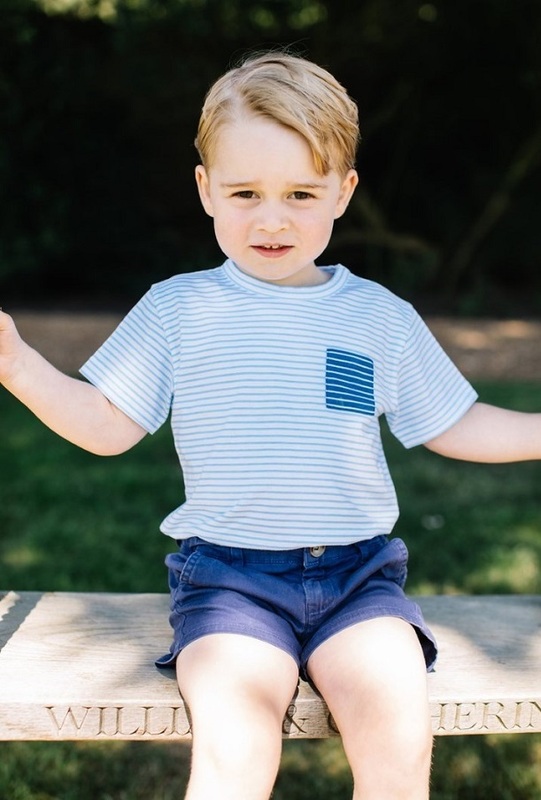 The Cambridge couple released a picture of Prince George taken by Duchess of Cambridge at the end of George’s first day at the nursery in Norfolk. Catherine carried out her first official duty of 2016 on February 7 with the 75th anniversary of the RAF Air Cadets marked with a service at St Clement Danes Church in London. 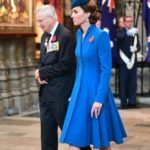 Duchess was wearing Alexander McQueen Coat, Lock & Co hat, Rupert Sanderson Malory Heels paired with Air Cadets Dacre Brooch, navy suede Russell & Bromley clutch, navy gloves and diamond and aquamarine drop earrings. In the same month Catherine experienced her hand in guest editing for Huffington Post UK bringing the experienced professionals from her patronages to discuss the mental health issues. Duchess wore Reiss Vinnie High Neck off-white Shirt with Dolce & Gabbana Boucle Wool Blend Skirt, Stuart Weitzman Power Pumps and Annoushka pearl earrings for the editing session at Kensington Palace. William and Catherine also returned to their first home Anglesey that month since leaving in 2013, for the RAF Disbandment Parade. Duchess chose L.K. Bennett Ami Coat with Lock & Co ‘Betty Boop’ hat, Mappin & Webb Empress Earrings, brown suede shoes and Emmy Clutch. On February 24 2016, Duchess made her first solo appearance in Scotland. She visited Edinburgh for a varied day of engagements. 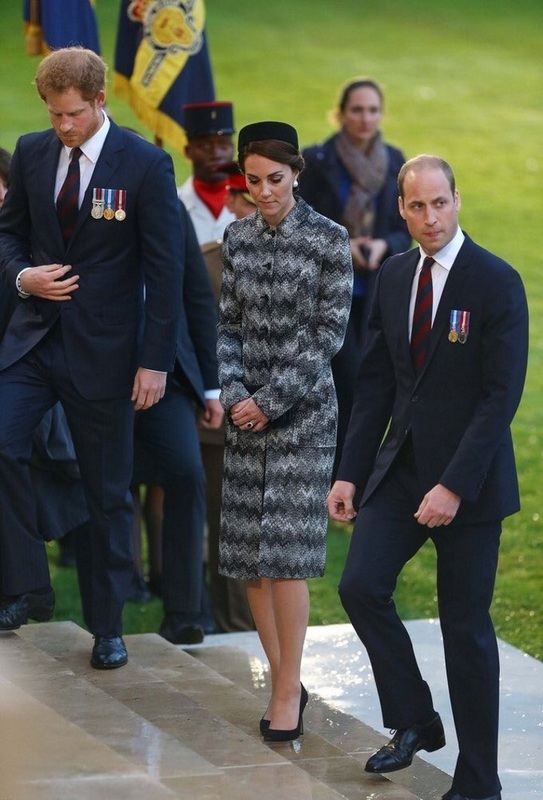 Duchess was wearing Sportmax Long Belted Coat, Le Kilt Gray Classic Houndstooth Wool Kilt with black turtleneck sweater, Stuart Weitzman Power Pumps, Kiki McDonough ‘Lauren’ yellow gold diamond pave leaf earrings, Cartier Ballon Bleu watch and Mulberry Bayswater Clutch. On March 06 2016, Kensington Palace released the pictures of Prince William, Duchess Catherine and their two children on a ski break in French Alps — their first vacation as a family of four. On March 14 2016, Catherine joined royal family for Commonwealth service at Westminster Abbey. Duchess was wearing Erdem Gray Coat, wide-brim grey John Boyd hat with Rupert Sanderson Winona pumps, Aquamarine and Diamond earrings and carried Emmy London Clutch . In April, William and Catherine welcomed young people from India and Bhutan – Countries they were set to visit in few days at Kensington Palace. Duchess going for sartorial diplomacy chose Indian designer Saloni’s Mary Illusion Dot Dress in navy blue. She paired the dress with Cassandra Goad Temple of Heaven earrings and Rupert Sanderson Malory heels. On April 10 2016, William and Catherine arrived at the Taj Mahal Palace hotel in Mumbai, India to start their first visit to the country. In the evening, Duke and Duchess joined Bollywood stars for a glamorous gala dinner. Catherine chose a vibrant blue Jenny Packham gown. 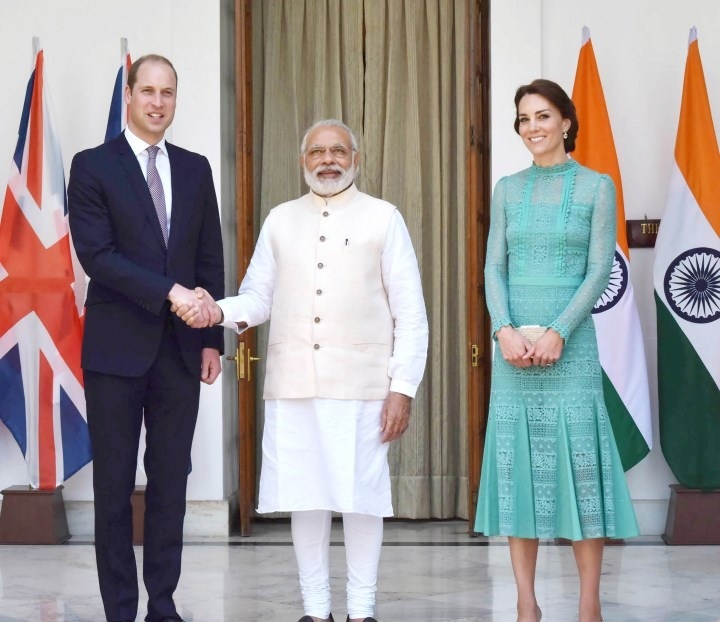 On the third day of the tour, the Cambridge couple met Prime Miinister of India Narendra Modi at Hyderabad House for lunch. 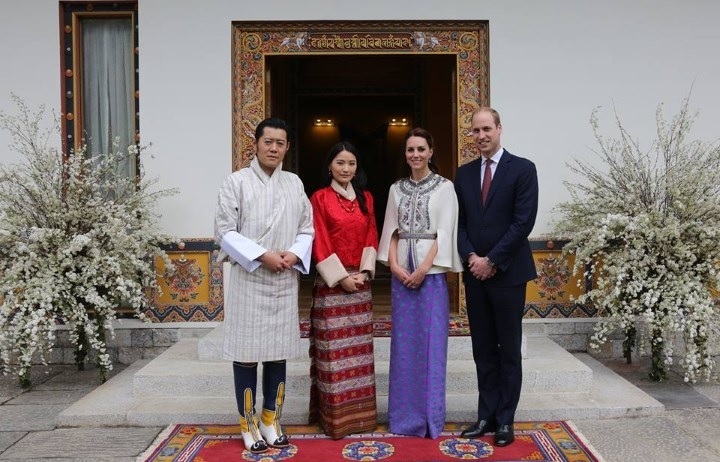 William and Catherine arrived in Bhutan on April 14 2016. It was reported that at the time of the landing, the couple was in cockpit to see as much as they can from the beautiful scenery offered by the country. The couple was officially welcomed by the Bhutan Royals with traditional ceremony. 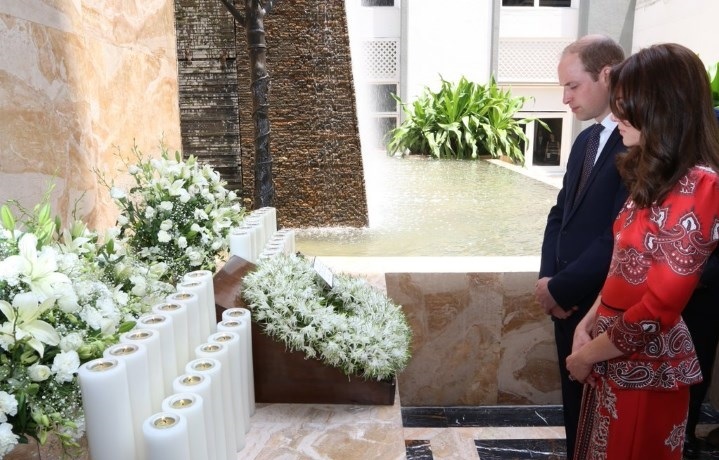 On April 16 2016, William and Catherine returned to India to create historic memories. The couple visited Taj Mahal. It was a bit personal moment for William as his mother Princess Diana also visited the monument in 1992 and posed alone at the bench in front of Taj Mahal. 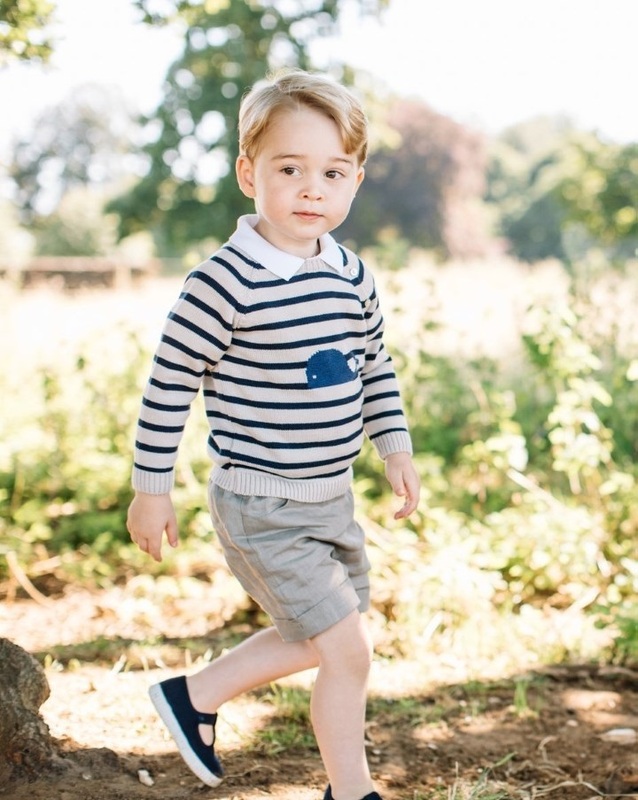 The Palace described the visit as an opportunity for William to retrace his mother’s footsteps and “make new memories”. 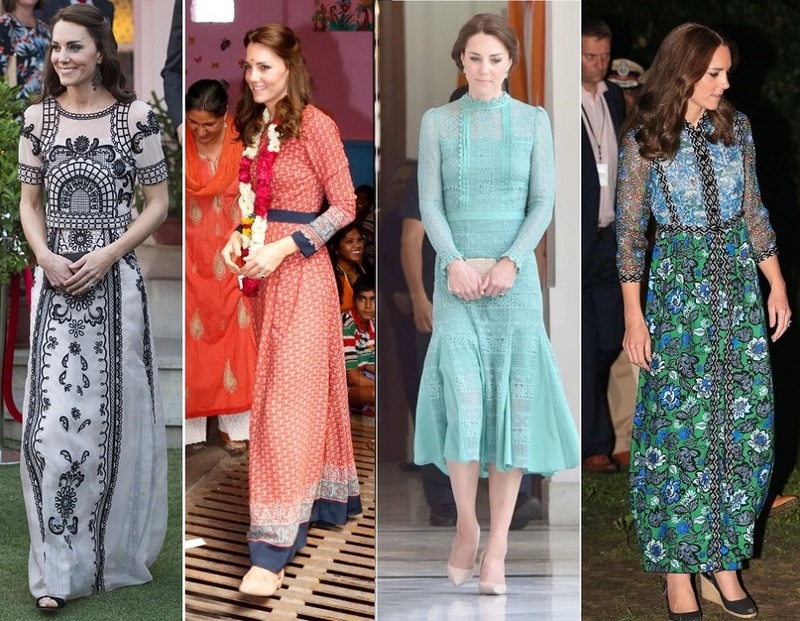 A look at Duchess’ wardrobe during India and Bhutan visit. After the trip the Couple was already heading towards Her Majesty’s 90th birthday celebrations. 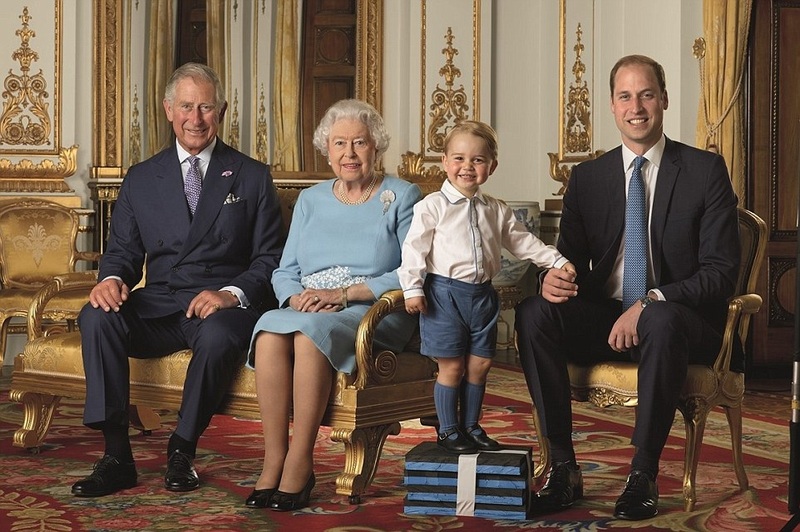 It started with an iconic picture of Queen sitting with her three heirs in which George was giving a cheeky smile while holding his father’s hand. 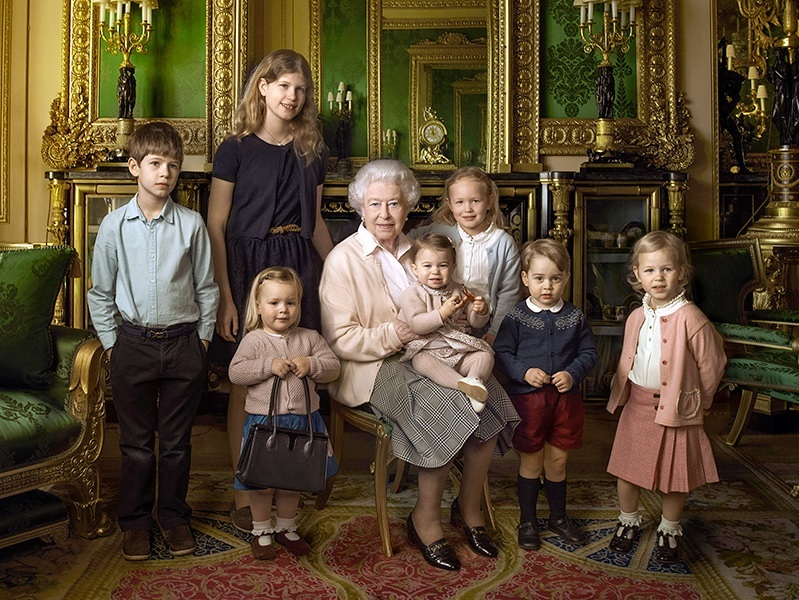 Later on another picture was released by the Royal family to mark Queen’s birthday in which both Prince George and Princess Charlotte were star along with other young grand children of Queen. 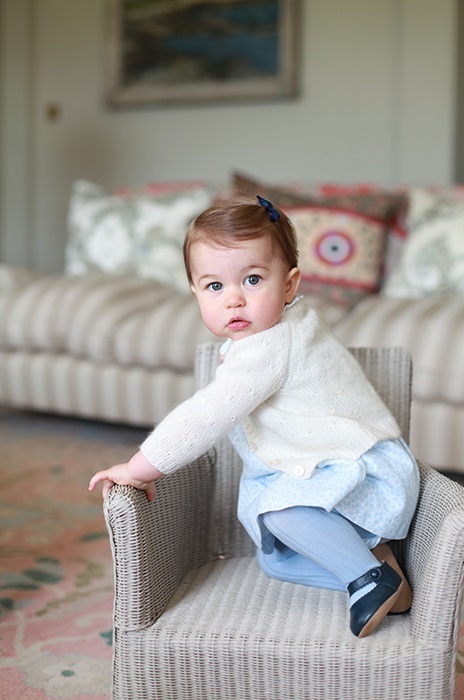 Queen was holding almost an year old Charlotte in her lap while Mia Tindall cheekily hold her Great Grandmother’s bag. 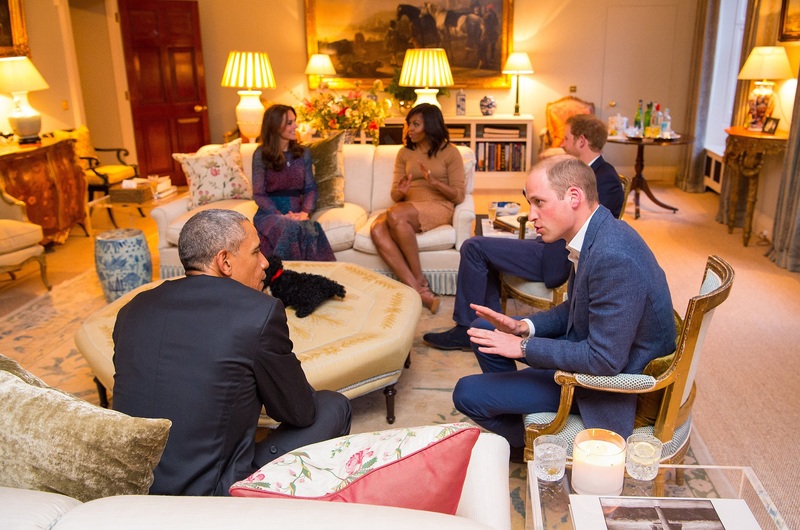 April headed towards end with Cambridges and Prince Harry welcoming US President Barack Obama and his wife to Apartment 1A at Kensington Palace. It was the first time Duchess played hostess at her own home publicly. 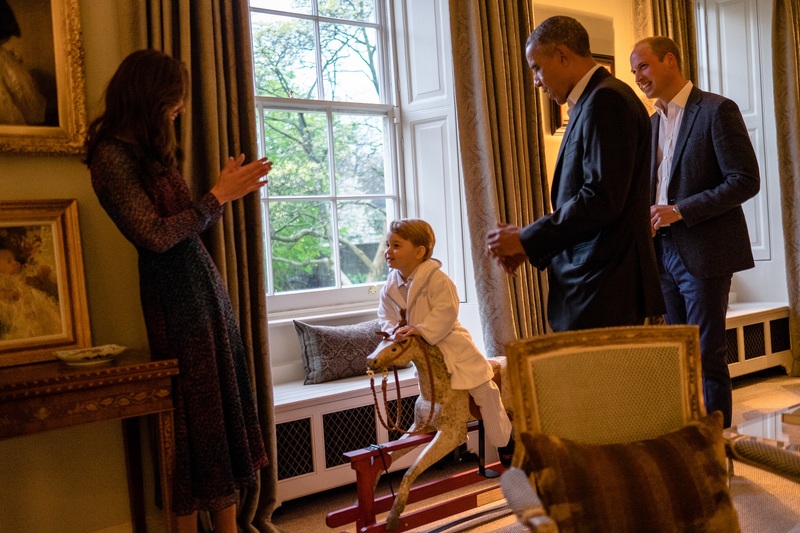 One again show was stolen by Prince George who met American President in his nightwear. Catherine wore L.K. Bennett Addison dress accessorised with navy belt, Rupert Sanderson Malory suede pumps, G. Collins & Sons tanzanite and diamond earrings and pendant. 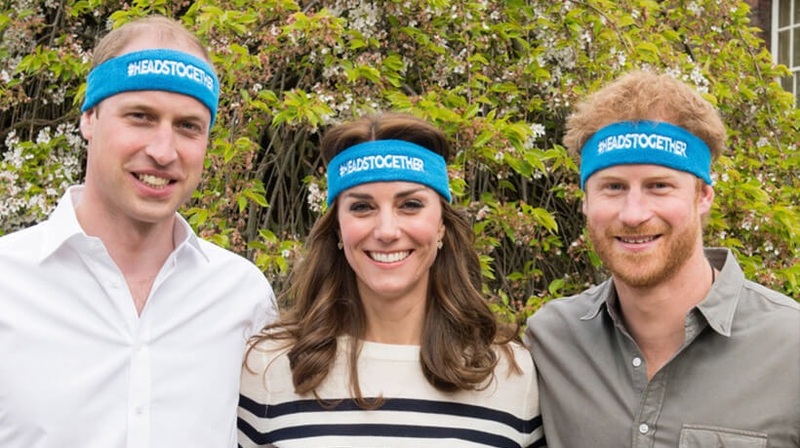 At the end of the April the Royal Trio announced another royal campaign “Heads Together’ that was going to tackle the stigma surrounding mental health. The Heads Together was chosen as 2017 Virgin Money London Marathon Charity. Catherine chose a casual look consists of J Crew Tippi Striped Sweater and blue skinny jeans with Kiki McDonough Lauren earrings and Monsoon Fleur Wedges. 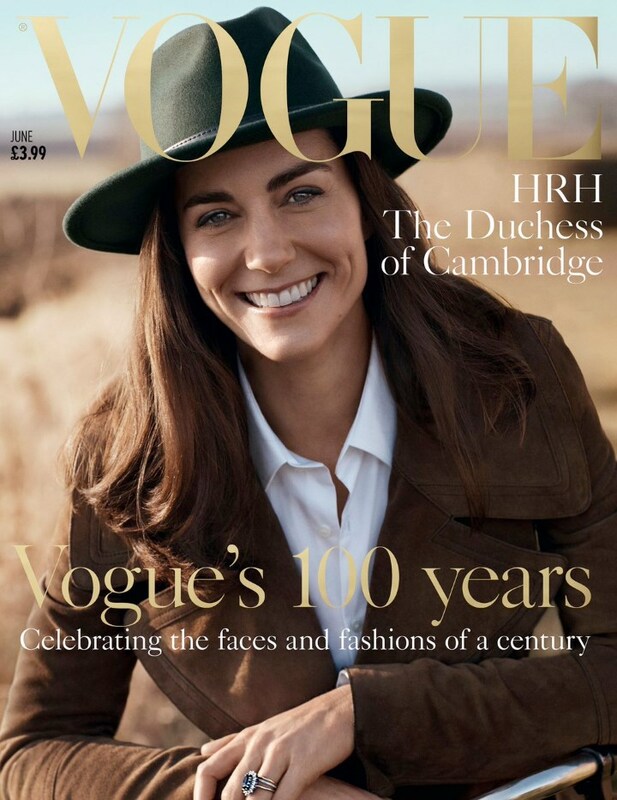 Finally April ended with the news of Duchess’ appearance at the cover of Vogue Magazine. 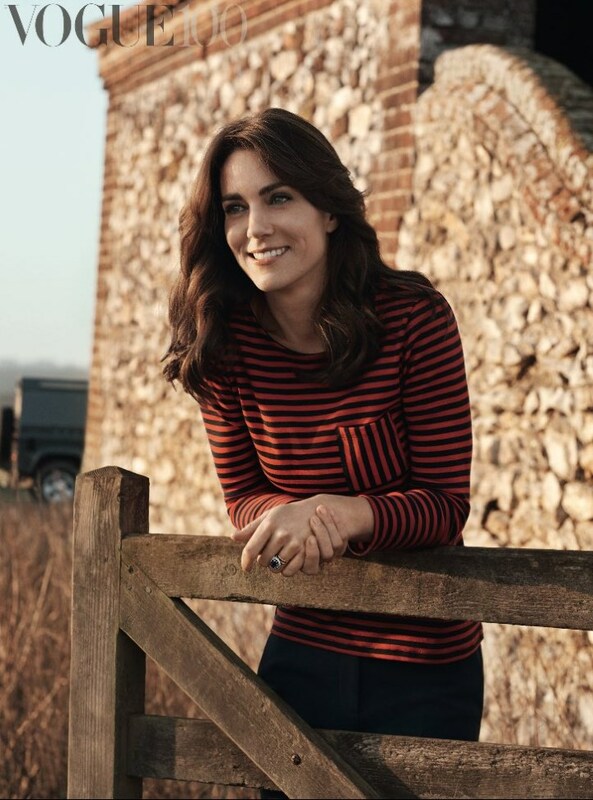 National Portrait Gallery – Catherine ‘s patronage, collaborated with British Vogue on a series of portraits of the Duchess, shot by photographer Josh Olins on the Sandringham estate in the Norfolk countryside in January 2016. For the first time Duchess was seen without her signature black eyeliner. 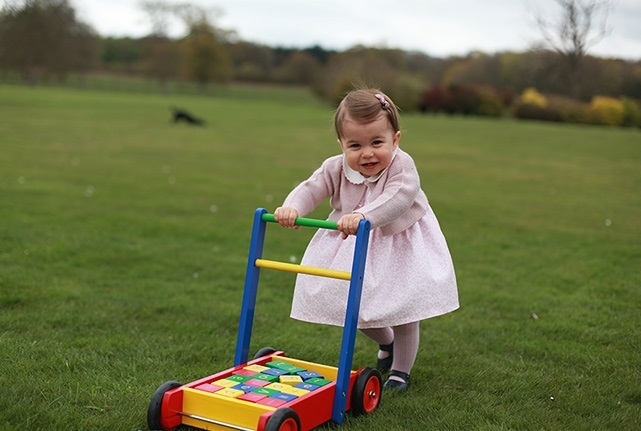 Catherine and William started May with releasing cute picture of Princess Charlotte to mark her first birthday. 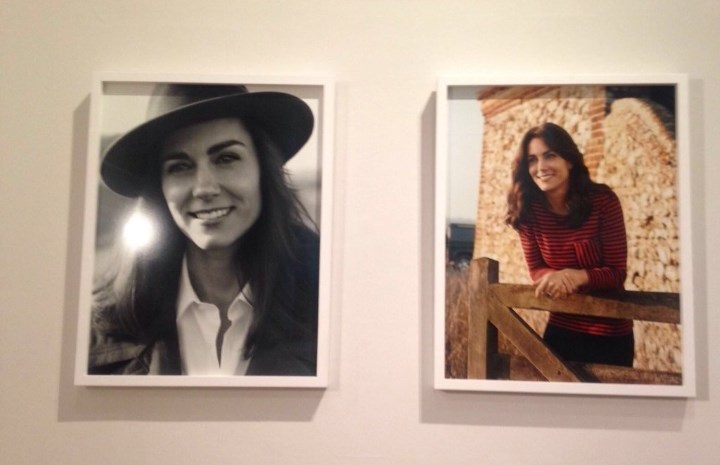 Pictures were taken by Duchess herself at Anmer Hall who is a keen amateur photographer . 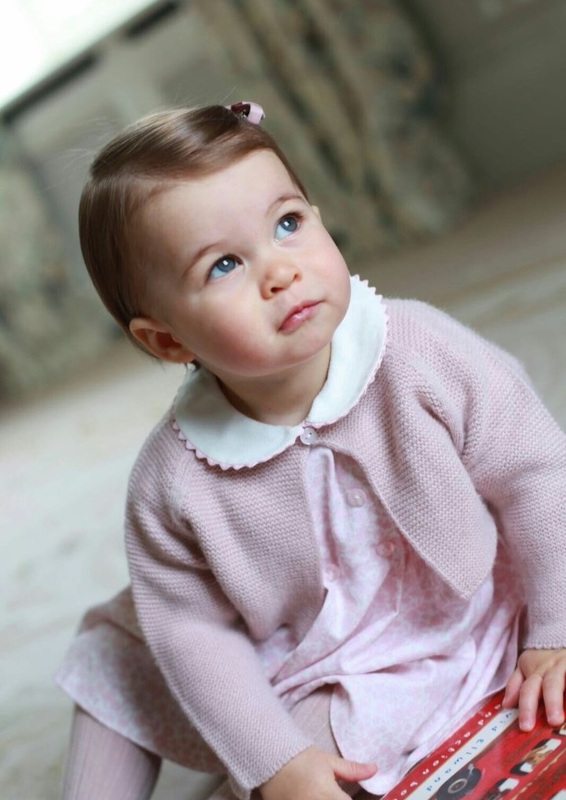 The 4 pictures released were a cute thank you to all the best wishes couple received on Charlotte’s birthday. 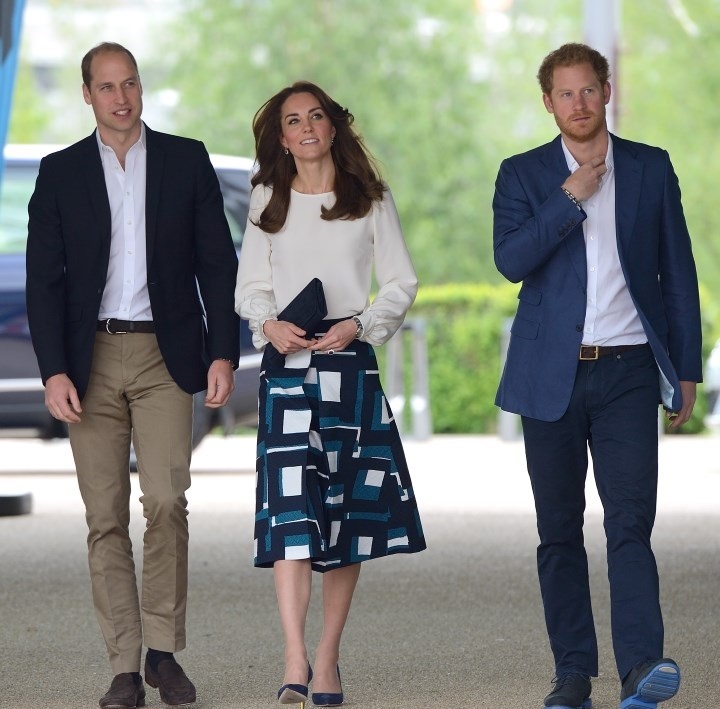 On May 16 2016, Catherine joined William and Harry to launch Heads Together Campaign to end stigma around mental health at the Queen Elizabeth Olympic Park. William in 2018 told that Heads Together was Catherine ‘s idea to bring focus on Mental Health together under one roof. Catherine wore Goat cream Binky Blouse with Banana Republic Blue Geo Jacquard Midi Skirt and paired the outfit with sapphire and diamond drop earrings, L.K. Bennett Frome clutch, Cartier Ballon Bleu watch and Rupert Sanderson Malory pumps. 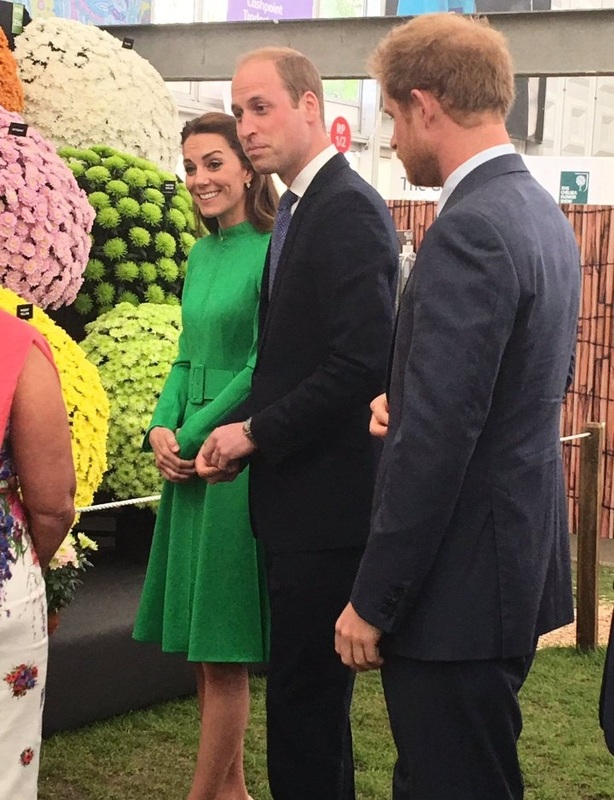 Duchess made her Chelsea Flower Show debut on May 23 2016. Considered as Britain’s undisputed horticultural event and known globally for its spectacular floral displays, royal fans were eagerly waiting to see Duchess at the Flower Show since her wedding. Duchess brought back Catherine Walker Green Coatdress from Australia tour 2014 and paired it with Kiki McDonough Lauren earrings, L.K. Bennett Nina Clutch and L.K. Bennett Fern pumps. Catherine hosted first gala at her residence Kensington Palace on June 09 2016. 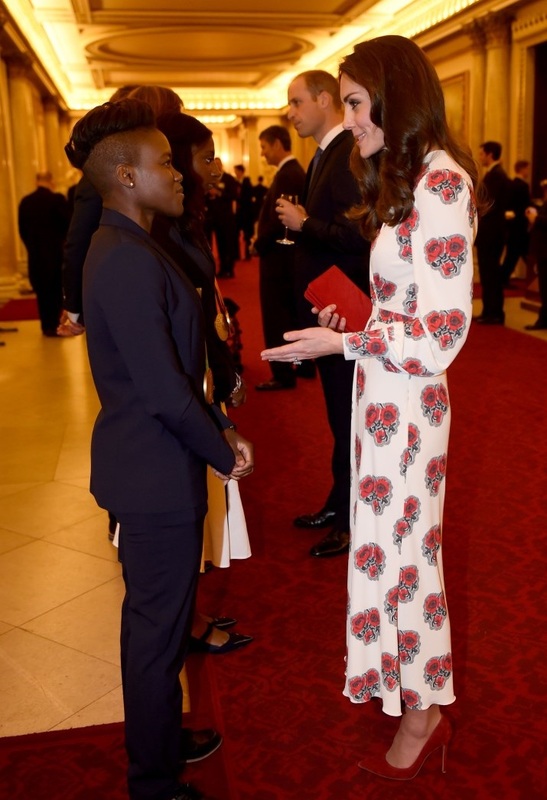 She hosted SportsAid’s 40th Anniversary Gala dinner. Catherine chose Roland Mouret Nansen royal blue Gown with Gianvito Rossi Criss-Cross Ankle Wrap Sandals, Cartier Diamond Tricolor Gold Trinity Hoop Earrings and black Prada Clutch. On June 10, Catherine joined Royal Family for Queen’s 90th birthday Thanksgiving service at St Paul’s Cathedral. 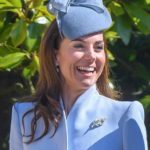 Duchess wore Catherine Walker Overlay Coatdress, with cream Jane Taylor hat, aquamarine and diamond earrings, a new diamond pendant, Gianvito Rossi antique-rose suede pumps and L.K. Bennett Nina Clucth. 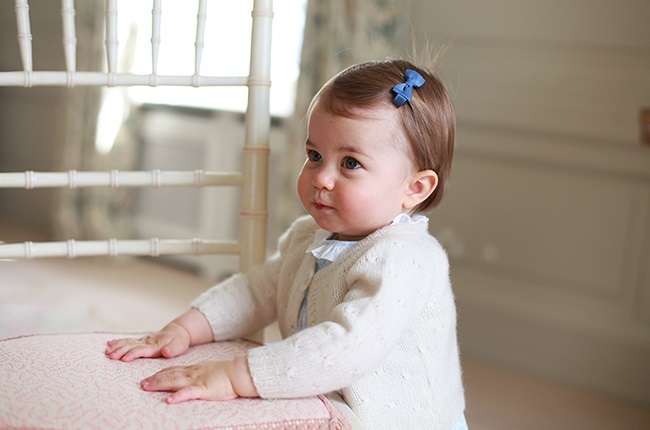 Princess Charlotte made her debut appearance at the balcony of Buckingham palace at the Trooping the Colour Parade in June 2016. Duchess repeated the Alexander McQueen Cream Coat that she wore at the christening of Princess Charlotte, with moulded slice hat from philip Treacy, Mappin & Webb Empress Pendant and large pearl earrings. Catherine joined William and Members of Royal Family for patron’s lunch at the Mall in St James’ Park on June 12 2016 held as the part of nationwide celebration of Queen’s 90th birthday. Duchess wore Roksanda Marwood Colour-Block Wool-Crepe Dress with Mappin & Webb Empress earrings and pendant, Nina Clutch and Fern Pumps from L.K. Bennett. 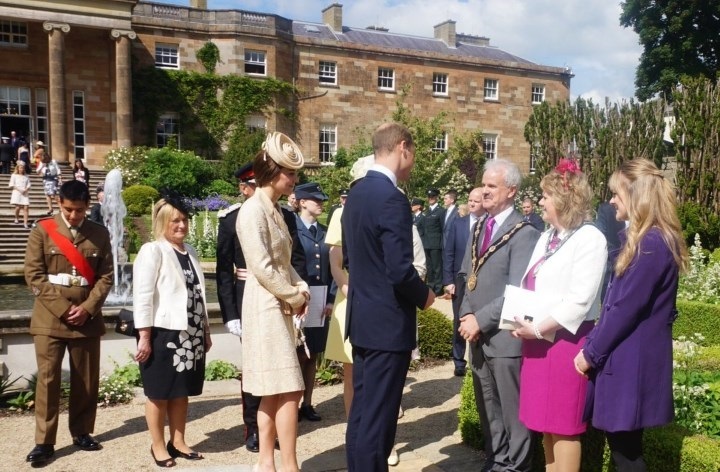 On June 14 2016, William and Catherine , who are Baron and Baroness Carrickfergus in Northern Ireland, attended the Secretary of State for Northern Ireland’s Garden Party at Hillsborough Castle marking their first visit to NI since their marriage. Duchess brought back her gold Day Birger et Mikkelsen Coat with Lock & Co. Morning Rose Perching Hat, L.K. Bennett Fern pumps, L.K.Bennett Nina Clutch and Kiki McDonough Eden Diamond Flower and Lemon Quartz Drop Earrings. 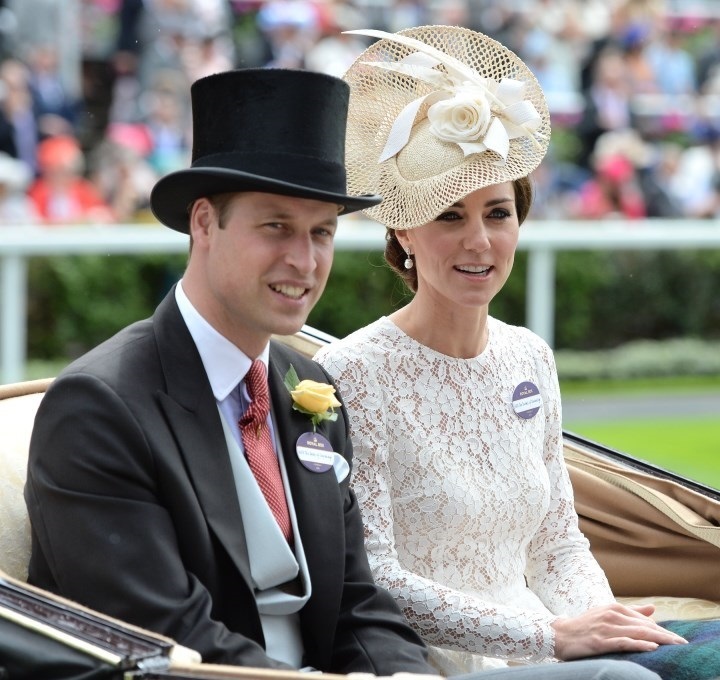 William and Catherine made their debut at Royal Ascot- another much anticipated event, on June 15 2016. 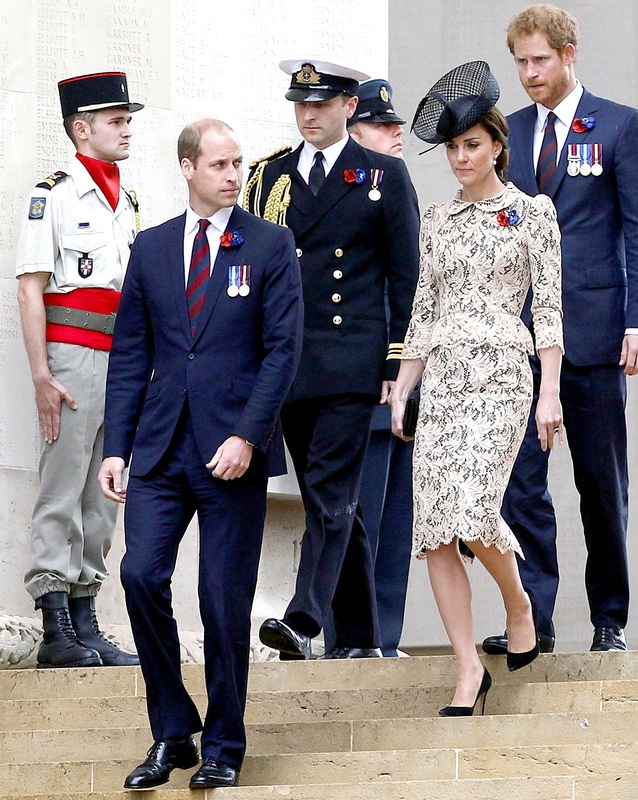 Duchess wore Dolce & Gabbana White Lace Dress with Jane Taylor Una hat, diamond and pearl earrings, L.K. Bennett Natalie Clutch and Gianvito Rossi 105 suede Praline pumps. June ended and July in 2016 began with the Duke and Duchess and Prince Harry traveling to France for two days of events commemorating the 100th anniversary of the Battle of the Somme. On 30th June Duchess chose Missoni Long Snake Stitch Coat with black dress and paired the outfit with large pearl earrings, black pillbox hat, black Gianvito Rossi suede pumps and Mulberry clutch. On July 01 for the day 2 in France Duchess wore beige lace dress with black lining, Lock & Co ‘Lion Tamer’ hat, Annoushka pearls and Kiki McDonough hoops, black Gianvito Rossi suede pumps. 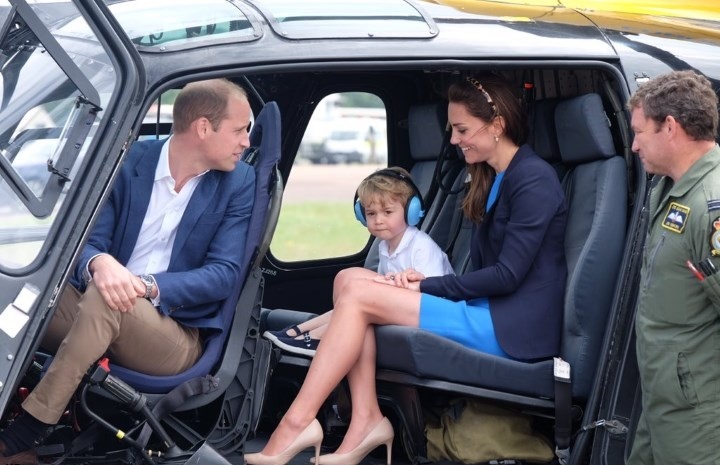 On July 08 2016, William and Catherine took Prince George to Air Tattoo event at RAF Airford making George’ first of a kind event. Duchess was wearing Stella McCartney Ridley dress with Smythe Navy One Button Blazer, L.K. Bennett Floret Pumps, Alice headband, Kiki McDonough ‘Lauren’ earrings and Cartier Ballon Bleu watch. 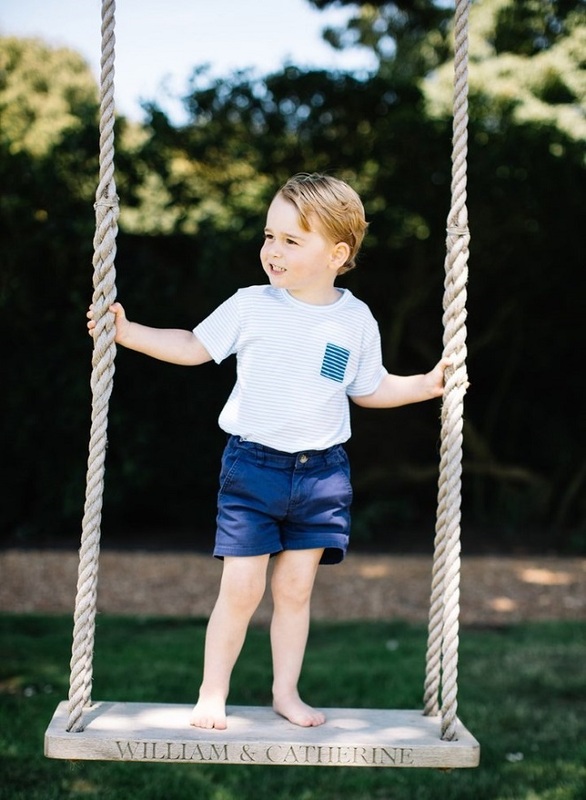 William and Catherine marked Prince George’s 3rd birthday by releasing pictures taken by photographer Matt Porteuous at their home in Norfolk. 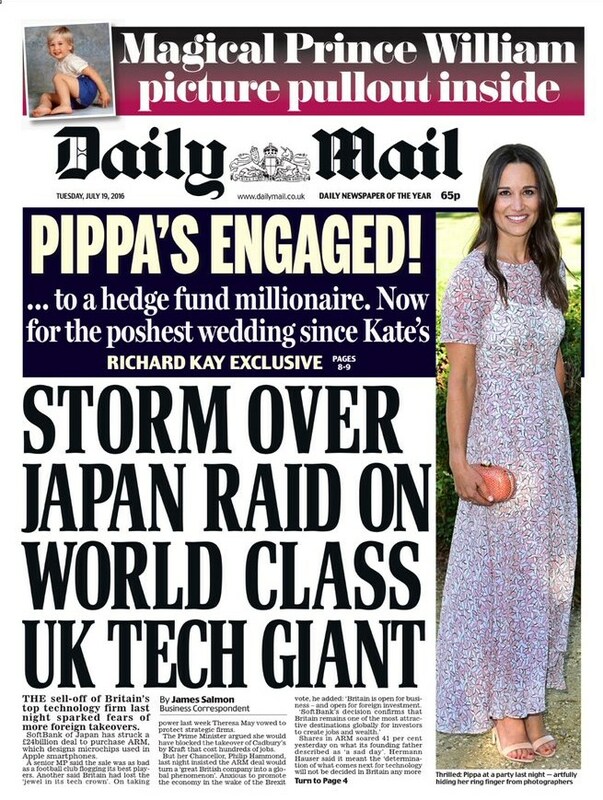 Duchess was heading towards another family milestone, her younger sister Pippa Middleton’s engagement to hedge fund Manger James Matthews was announced in July. August 2016 was time for family vacation in France. The couple started September with a two day visit of Cornwall and the Isles of Scilly, that was also another first. In Cornwall Duchess wore beautiful Double Faced Twill Elbow Sleeve Lela Rose Dress with Monsoon Fleur wedges, L.K. Bennett Natalie Clutch, Kiki McDonough Morganite Cushion Drops, Cartier Ballon Bleu watch. 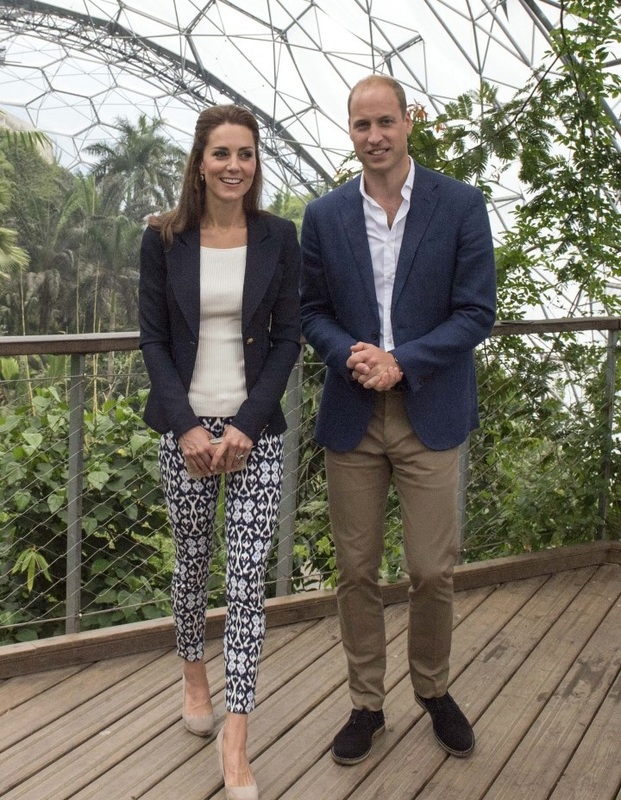 On Day 2 Duchess wore Smythe Navy One Button Blazer, white H&M top and GAP BI-Stretch Skinny Ankle Pants with Monsoon Fleur wedges with a change of Sebago Bala boat shoes during the day, L.K. Bennett Natalie Clutch and sapphire and diamond earrings. September ended with an another much anticipated royal tour. The family of four undertook their first tour together from September 24 to October 01 2016 when they visited Canada. The tour full of varied itinerary, gave a glimpse of Cambridge family life. 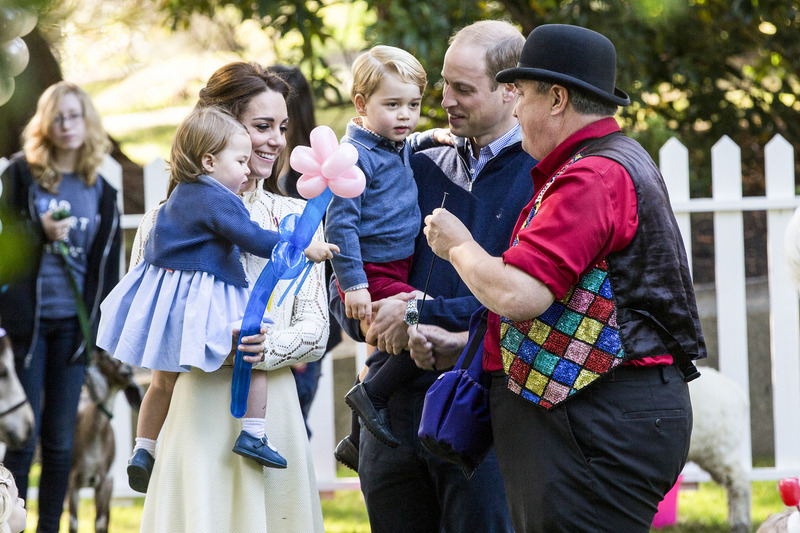 Both George and Charlotte were seen having fun during a children’s party at Government House. The tour gave us lots of cozy moments between William and Catherine , a glimpse of parenthood and lots of iconic fashion inspirations. 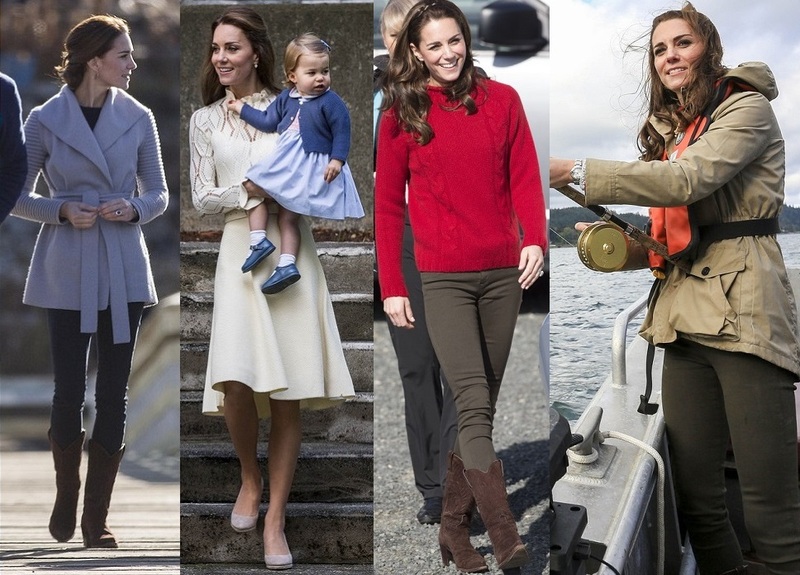 A look at the Duchess’ wardrobe choices during the royal tour. 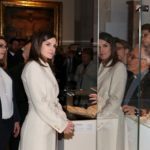 On October 11 2016, Duchess finally undertook her first solo foreign visit. She visited Netherlands for a day full of engagements. 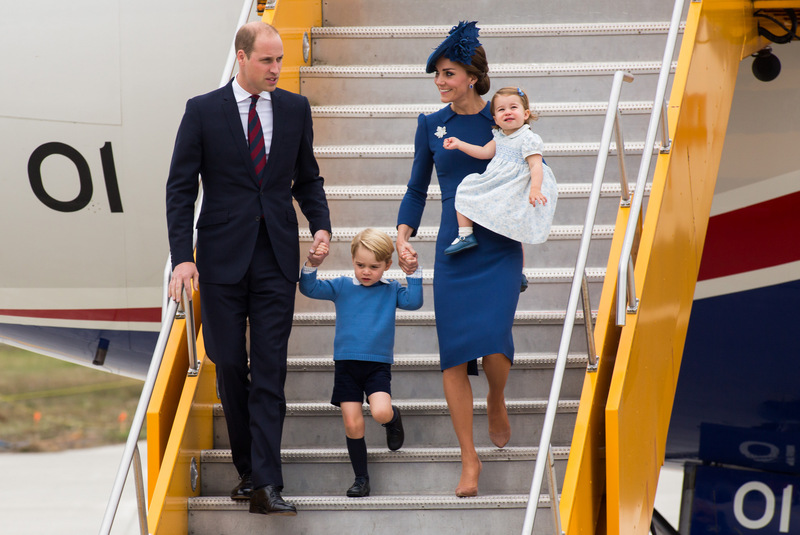 Duchess flew commercial, many passengers were surprised to see Duchess onboard. 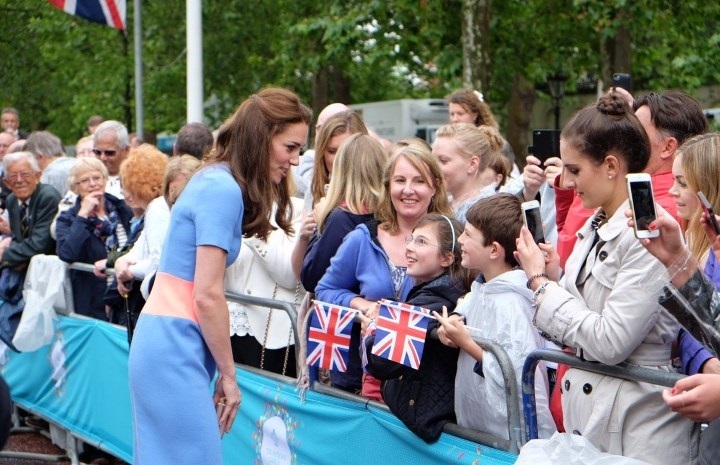 Catherine wore pale blue Catherine Walker suit with Gianvito Rossi Praline Suede pumps, L.K. Bennett Nina Clutch and pearl and diamond earrings. 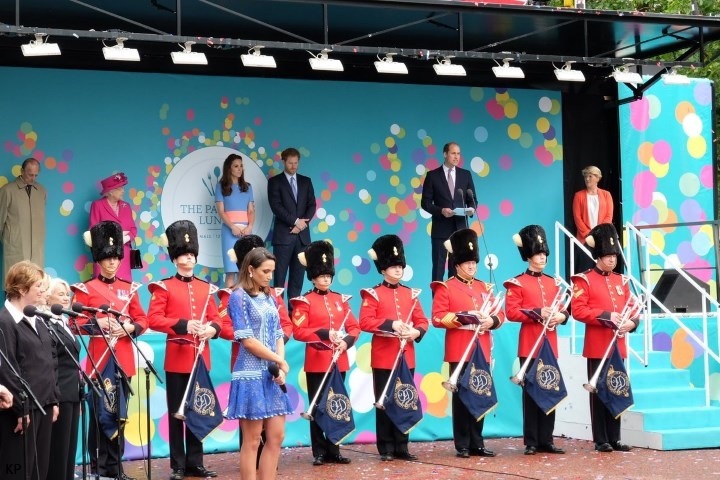 Duchess joined Her Majesty and other members of royal family to welcome the winners of team GB and Paralympics GB medalists from the 2016 Rio Olympics and Paralympic Games at Buckingham Palace on October 18 2016. Catherine chose bespoke Alexander McQueen poppy print dress with Gianvito Rossi Pumps, red Miu Miu Bow Embellished Suede clutch and Soru Jewellery Baroque Pearl Double Sided Earrings. On November 03 2016, Catherine led the premiere of ‘A Street Cat Named Bob’ in a Self-Portrait Gown – another first. Duchess wore Pleated Crochet Cotton Blend Maxi Dress with Buckley poppy brooch, Mulberry Bayswater clutch, Gianvito Rossi 105 Burgundy suede pumps, and Oscar de la Renta Hammered Gold-Plated Faux Pearl Earrings. 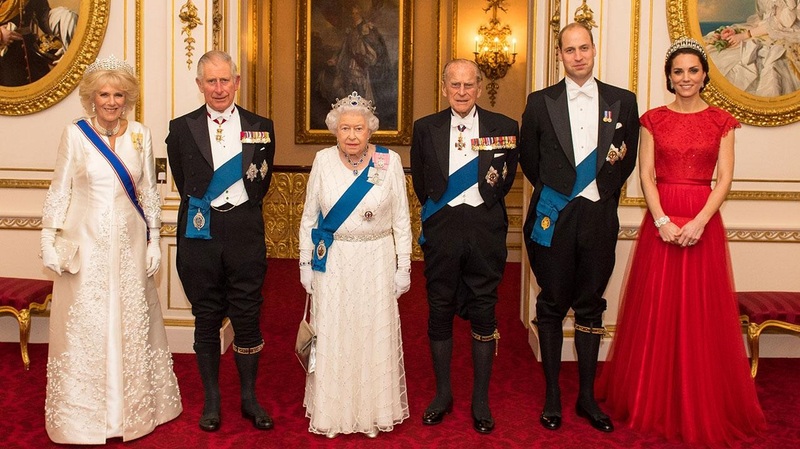 In December, Catherine attended the annual diplomatic reception wearing red Jenny Packham gown and Cambridge Lover’s knot tiara with Queen’s Diamond Pendant earrings and diamond bracelet and carried a red clutch. The Cambridge family spend the 2016 Christmas with Middleton in Berkshire making it Charlotte’s first Christmas at her maternal grandparents house and Pippa’s last as single woman. Duchess wore Hobbs London Celeste coat and ASOS Faux Fur Mini Slot Collar with Tod’s Pumps With Fringes, diamond and pearl earrings and Mulberry clutch.